Don’t stop believing in yourself, your Higher Power and the goodness of humanity, because even heroes have a right to dream and without true belief, aren’t living to their full potential. Loyalty and trust is needed within yourself and your Higher Power first, and then others in your environment. It may not be easy to be yourself, but you have the right to believe in yourself and achieve a place of happiness in your life. 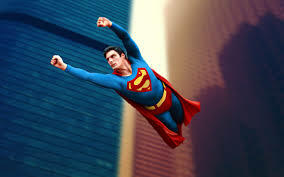 ‘Superman’ song lyrics such as: “I’m only a man looking for a dream”; “Looking for special things inside of me”; “It’s not easy to be me”; “I’m just out to find the better part of me – inside of me”; “I may be disturbed but won’t you concede, even heroes have the right to dream, and it’s not easy to be me” bring a powerful and dominant definition to how a positive perception of yourself can allocate special things into your life. Release your fist full of negative emotions to become aware of your superpowers (i.e. love, faith, hope, confidence, self-assurance, happiness, humor, music, poetry, dance, sports, intellectual property, etc). Approach adversity and good fortune with arms wide open to allow the love, faith and hope to work through you from your Higher Power, whatever that may be. Belief in a concept bigger than yourself and is achievable by letting down your guard. Then you must take your dreams by the hand to guide yourself to true prosperity. Don’t stop believing in yourself, your higher power and in humanity. You never know when jubilation and delight will enter your life by making changes, one step at a time / one day at a time. Hold yourself in the highest esteem with confidence and it will be contagious to others around you. Surround yourself in positive and enjoyable environments and remove yourself from negative situations. You have the right to walk away emotionally or physically. Release the stress and anxiety of things that are or aren’t real to a Power greater than yourself, as it is selfish to believe you can handle it all on your own. YOU ARE AMAZING JUST THE WAY YOU ARE!!!!!!!!! It’s funny how songs take on a different meaning in recovery! Thanks for this! I agree 100% & I love analyzing my own meanings from music. Thanks for the comment. Have a wonderful day! Have always loved the meaning in this song.